The clutch actuator pushes the arm that moves the clutch in and out. jerks when you change gear or accelerate. Eventually it will feel like a kick or a bang as the clutch engages. transfered to the wheels as the torque eventually causes the clutch to slip over the friction plate. to adjust the clutch so it is often overlooked. If you use them for a service, ask for your clutch to be adjusted. Most will do it free as part of the service but some will charge you. Clutch adjustment can be done in 2 ways (preferably both). the sight below. Using an E10 Torx socket loosen the 3 bolts indicated below. With all 3 bolts loosened, slide the unit towards the centre of the car (to the right). The actuator will only move about 2mm or 3mm before you feel it hit an obstruction. Stop pushing the actuator and it will move a fraction back to the left by itself. Now you have to push the actuator towards the clutch with 50 Newtons of force. This is the equivelent of hanging a 5kg weight sideways off of the actuator. like old school luggage scales). The gauge is pulled to 50N and then the bolts are tightened to 10Nm. car to fully open and close the actuator and allowing the clutch to move properly. At this point, I would recommend cleaning and lubricating the clutch actuator. as well. Ideally, the car should know where the clutch face is. above will get the clutch electrically adjusted in under 10 minutes. 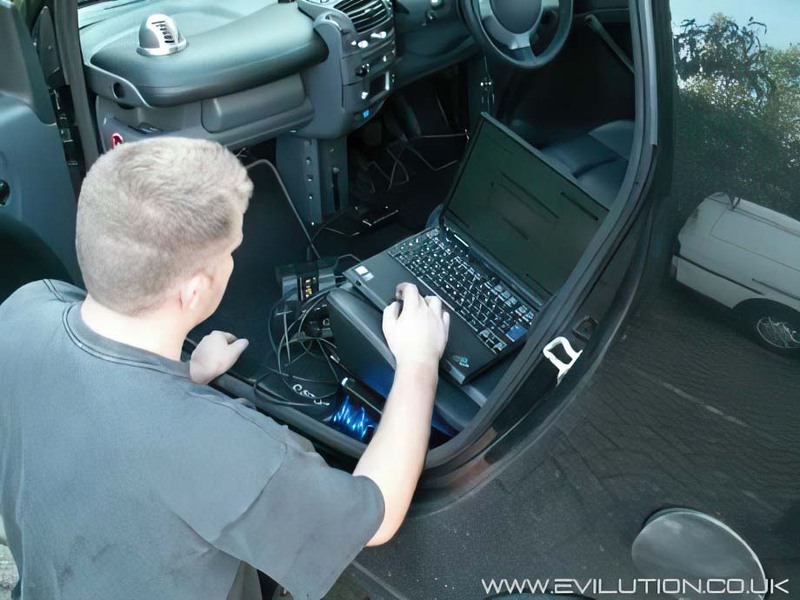 Both systems plug directly into the OBD port. Watching the MB Star or Win-Star system in action isn't very interesting but listening to everything moving in the engine is fascinating. Teaching the bite and release points moves the actuator through a few movement with the engine off. You can hear the clutch moving and working out where the clutch is and where the actuator should be. causes heat and heat will kill your clutch stone dead. If you do kill it dead, you have a few options. If you have a standard car then just have the normal clutch fitted, slightly modified for power you should get a Roadster clutch. All out power smart owners should consider the Brabus Roadster clutch. Each one can handle slightly more power than the last. been tagged to this 3rd party clutch which I won't go into here. With that you get a lighter fly wheel installed. the BHP transfered to the wheels but will slightly reduce torque. This is fairly common. The clutch actuator has to be able to open and close within a set time. If the actuator takes too long to move from one extreme to another, the adjustment will fail. Win-Star was the worst for failing during adjustment but MB Star allowed slightly longer but could still fail. Apart from checking the wiring to the clutch actuator, the best option is to clean and lube the actuator. 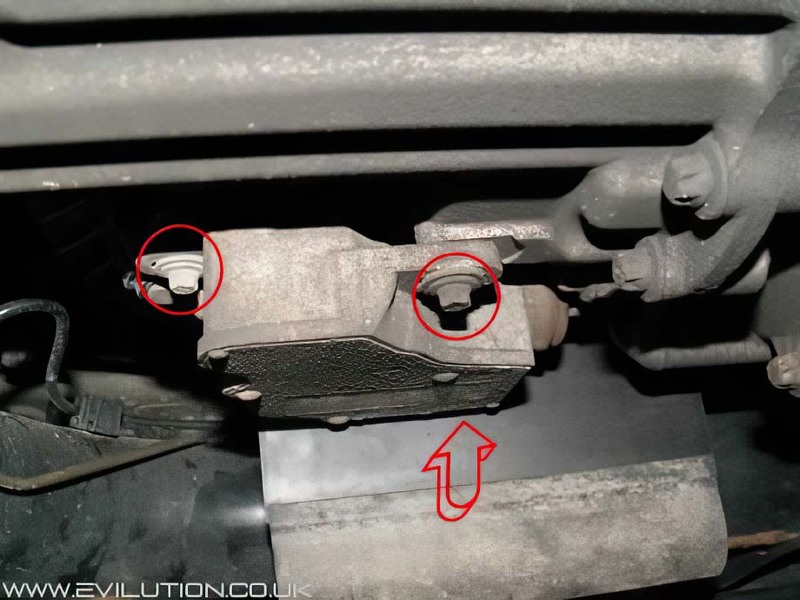 Had The Clutch Adjusted But Still Not Happy?